DANICA duvets and pillows. Manufactured in Denmark. Danish quality. DANICA down products are built on proud Danish traditions deeply rooted in supreme craftsmanship and with the processing of down in pride of place. DANICA is a perfect example of Danish design and innovation and fulfils even the strictest demands for quality – for raw material as well as for the finish of the product. 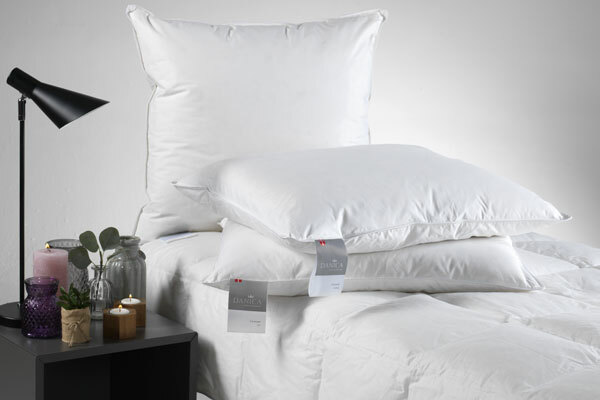 With a duvet or pillow from DANICA you are ensured a good choice and optimum sleeping comfort. DANICA satisfies you and is your guarantee for better sleep. With DANICA you can face the day, refreshed and well-rested.